If I arrive in a foreign city for the first time like Vancouver, BC, the one thing that I wanted to see immediately is the city centre where all the skyscrapers and buildings are located. The following day after I arrived in Vancouver, my cousins treated me to a tour of downtown. Downtown Vancouver is not that far from where I stayed. 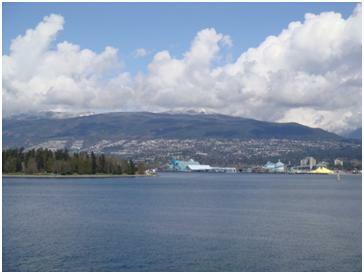 In fact, it is just one ride from Joyce-Collingwood Station to Waterfront via the SkyTrain. 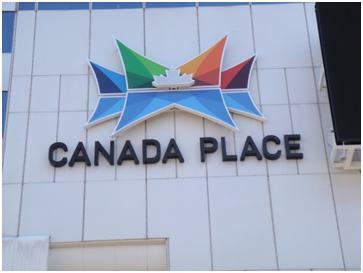 The first place that they brought me in is Canada Place. According to the Wikipedia Article, it is Canada's pavilion for Expo '86. 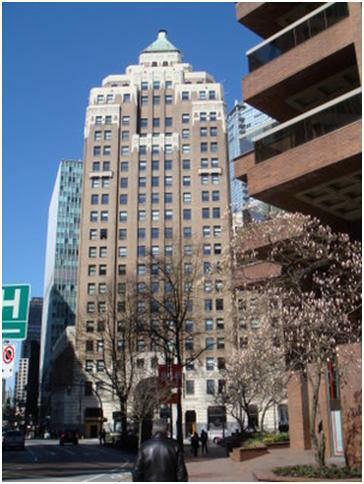 Now it houses the Pan Pacific Hotel, Vancouver Convention and Exhibition Centre, Vancouver World Trade Centre, the World's First Permanent IMAX 3D Theatre, and the main Cruise Ship terminal for the region. For the Vancouver 2010 Winter Olympics, Canada Place will serve as the international media centre. 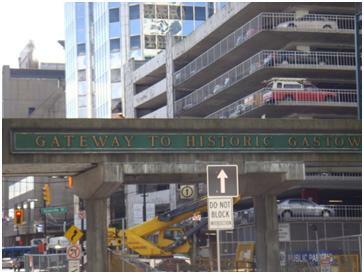 After hanging out at Canada Place, we went to Historic Gastown, another popular tourist attraction. It is just a walking distance from Canada Place. 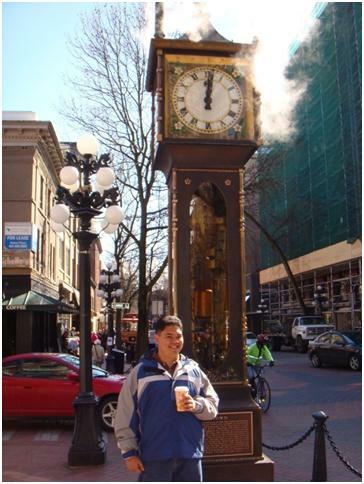 One of the attractions in that part of Vancouver aside from the architecture is the Steam Clock located on the corner of Cambie and Walter Street. I am told those streams comes out of the clock every hour and if you plan to go, make sure that you will be on time or else you will miss the best part. If you watch Smallville on TV, I was told the building is where they shoot some of the scenes. However, I cannot relate since I myself does not watch Smallville. Moving on we walked until we reached Davie Street and we grabbed some lunch at a Greek restaurant. After that we proceed to English Bay. I was surprised that they have beaches within the city itself, first I just thought that it would be something like the bay walk and the one esplanade we have here in the Philippines, but it is an actual beach where people can swim during summer. They have logs along the shore where one can sit and reflect on whatever happened after a day's work or hang out with friends. What you see above is called an Inukshuk. 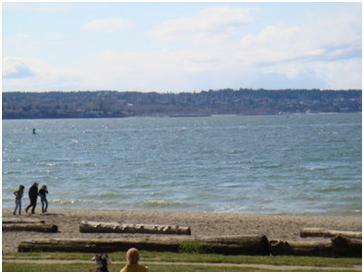 According to the Wikipedia article the one in English bay which is pictured above means friendship and welcoming of the world. 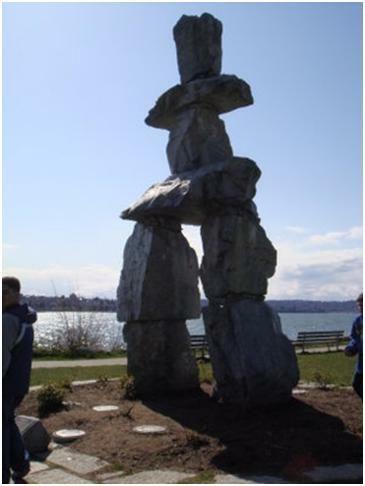 The Inukshuk also stands as a cultural symbol of the Inuit as well of Canada. After staying, we went on grabbed some ice cream (yes, on a hot seven degrees Celsius day) and headed back home to celebrate Ate Sharoll's birthday. 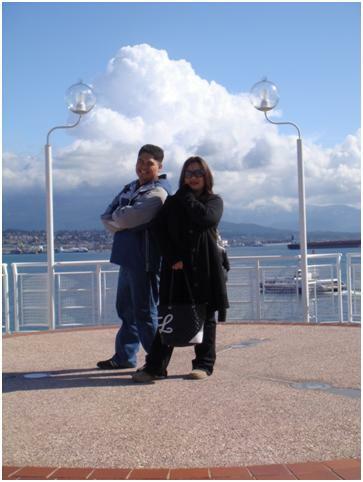 And there it was, my first day in Vancouver.